A street ends abruptly into a soybean field in a subdivision in Kane County, Illinois. And as residential development mingles with agricultural production on the outskirts of major metropolitan areas, the tension between the two increases. Recent clashes include lawsuits in North Carolina over odor and disease from Smithfield hog operations and new research on pesticide drift affecting schools and adjacent homes. In Kane County, Ill., leaders saw the threat and made a commitment to keep half the county’s land dedicated to agricultural use and open spaces. But that’s a rarity in the Midwest and in Illinois, a state that has lost more than 735,000 acres since 1997. While nearly 100 counties and municipalities across the country have implemented some form of farmland protection policies, less than a dozen of them are in the Midwest. In Kane County, the solution was to offer farmers the opportunity to sell the development rights of their land to the county, using something called a conservation easement. Easements ensure the land stay in agricultural production, in perpetuity. From 1976 to 2016, more than 23,500 parcels of land have been acquired through conservation easement programs at the municipality, county or state level, totaling more than 3.6 million acres of farmland protected nationwide. Most of these programs are on the east coast, with only Michigan, Ohio and Wisconsin offering state-level easement programs in the Midwest. Most programs are funded through taxes, bonds or appropriation spending, though Kane County primarily funds its easement program through gaming revenues. More than $5.7 billion has been paid to farmers through easement programs at the state and local levels in the last 40 years, according to the Farmland Information Center. Map: State easement spending. The darker states have spent more at the municipal, county and state levels to protect farmland through easements. Click on the states to see specific figures. One of the biggest concerns about conservation easement plans is that they are permanent. But Hill said that’s also the appeal for farmers concerned about the legacy of their land. But there are barriers to conservation easements. Hill said one reason more counties in the Midwest haven’t started programs is that it takes a significant financial investment to start a program. While Kane County easements are primarily funded through gaming revenue, planners are looking at other funding sources, including fees from urban development within the county. Another reason the Midwest has so few county protection plans is that the threat is still too intangible. Much of the Midwest is still flush with agricultural land. A more widely adopted method of incentivizing landowners to keep land in agriculture has been preferential taxation, where taxes are paid based on the land’s value in farming, instead of its market value. “You might have an acre of land that, in a developed use, would be worth $10,000, but only pays its property tax on $800,” said Lori Lynch, professor of agricultural and resource economics at the University of Maryland. She said tax incentives have gone a long way to slow down farmland development in the Northeast. Unlike conservation easements, preferential taxation doesn’t lock the land into farming forever. When land is no longer used for agriculture, a conversion tax is paid. More than easements or preferential taxation, the 2008 recession significantly slowed the development of farmland. But Hill said farmers still wanted to protect the legacy of their land. Map: Kane County, 1984 to 2016. Slide the white bar in the middle left or right to see how this portion of northern Kane County has changed in the last 30 years. Residential development is especially evident on the right side of the map. WHO BENEFITS FROM FARMLAND PROTECTION? Clearly, farmers and ranchers benefit from easements and tax breaks for agricultural land use. But Paul Gottlieb, associate professor of agricultural, food and resource economics at Rutgers University, points out that it’s not the farmers leading the charge for farmland protection. Gottlieb said for urban and suburban residents, farmland and open spaces are an amenity. Beyond crop production, farmland provides protection against congestion, traffic, cultural grounding and access to local food. But those benefits to a community aren’t factored into the price of land, which may be why taxation and conservation efforts exist, according to Lynch. Kane County continues to evolve its strategy around farmland protection. Realizing that permanently committing land to agriculture may not be realistic for every parcel, planners have created a temporary, or “term” easement, where a landowner with smaller acreage could promise agricultural productivity for 10 to 15 years. Hill said these short-term plans are ideal for fruit and vegetable producers who operate on smaller farms than traditional row crop farmers. This dovetails with Kane County’s efforts to combat obesity and health problems through a strategy to bring fresh fruit and vegetables to area schools and hospitals. “I think that also allowing for these term easements to support vegetable farms of any size and other farms that support food for human consumption, that really brings it home for the consumer when they understand that their food could be in the path of development,” Hill said. The private market is also looking at blending agriculture into the suburban landscape. In northern Kane County, Serosun Farms is a new housing development that is integrating agriculture into the community, much like parks or a golf course might be woven through a traditionally developed subdivision. John DeWald is the developer heading up the project, which is more than 400 acres. He said 70 percent of Serosun will remain in agricultural use, including public barns, farmers markets and community farm plots. The area will also include orchards, test plots and conservation woodlands and wetlands. Serosun is focusing more on integrating fruit and vegetable farming, not large-scale commodity crops or confined animal feed operations. “It’s something that’s fantastic for people who want their kids or grandkids exposed to farming but still live in a modern suburban home,” Hill said. 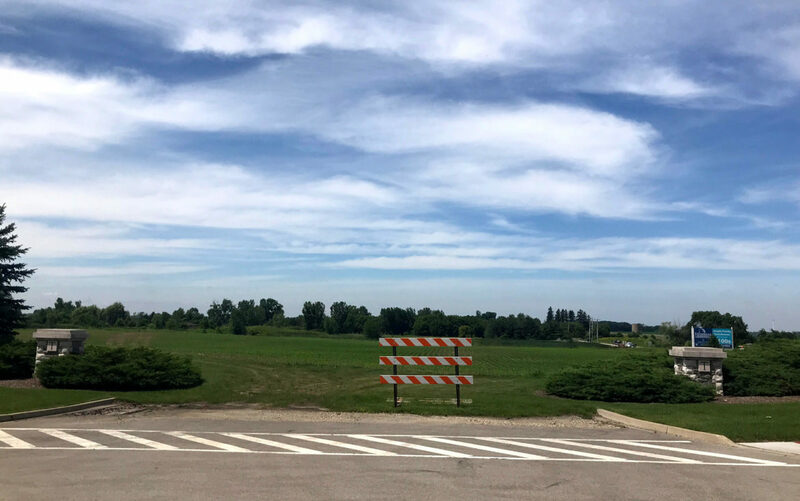 DeWald said even though Serosun is residential development of farmland, he is working with Kane County to meet conservation goals as he builds out the residential aspects of the community. But he warns that all “agrihoods” may not be dedicated to responsible development of agricultural land. Whether the issue of land development is a far-off concern or knocking on the door, Gottlieb said he appreciates AFT’s focus on the issue. “I’m all about prudence in acting early to forestall problems associated with the depletion of natural resources,” Gottlieb said. But without a sense of urgency, it can be hard for the issue to get the attention of lawmakers, or even advocates of the agriculture industry. This story is the second in a two-part series about farmland loss. To read more about the problem of farmland loss, read Disappearing farmland: Small-towns trade farmland for residential development.